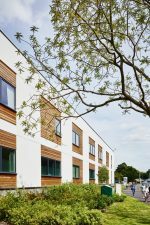 AD Architects designed a new two-storey Ward Block building at Lister Hospital, Stevenage, which sits at the front of the site, adjacent to the new Emergency Department, also designed by AD Architects. 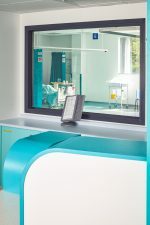 The building provides a new Acute Ambulatory unit at ground level with a new Coronary Care Unit located on the first floor. 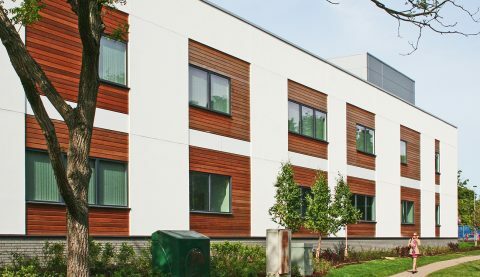 This is the latest in a series of projects forming part of a major redevelopment of the entire hospital and consolidation of the acute health services for East & North Hertfordshire on a single site. 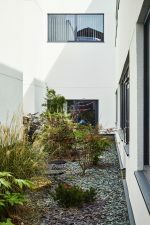 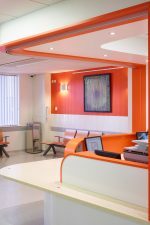 This project was completed as part of the Trust’s ‘Our Changing Hospitals’ programme for which we were awarded the BBH (Building Better Healthcare) 2015 Estates Improvement Award.